A Teenage Girl’s Room Q. I would like help thinking long-term for my 13 year old daughter’s room so that I don’t have to decorate her room twice. We are about to move into a home that we plan to stay in for at least 11 years which will be when our youngest completes college. Before You Build: Part 1 Q. My husband gave me the best anniversary present ever! He finally agreed to custom build and showed me the nest egg he has been building for 10 years to surprise me! I am determined this will be a happy project to reward the entire family. I have heard some horror stories, though, and want to make sure I get off on the right foot. 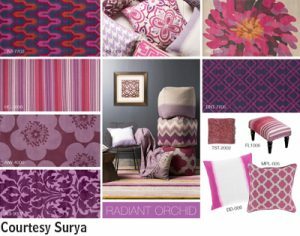 Decorating with this Year’s Pantone Color: Radiant Orchid Q. I’ve read the color of the year is Pantone Radiant Orchid. At first I thought it was for clothing, but then I saw rugs and furniture this color. Are they serious? I like some of it, but how do I use it in my traditional home? Like most of my friends, I have a lot of chocolate and neutral with color as accents. I wanted to update this spring but now, I wonder if I should wait? 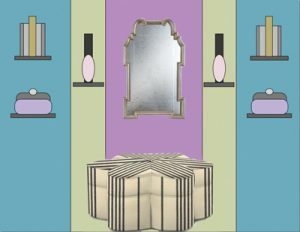 Step-by-Step Decorating Q. We are building a house in a beautiful subdivision with Tudor style homes. I love the outside of the houses, but I can only imagine floral teapots and blue and yellow floral draperies. Right now, we are still debating about floor plans. 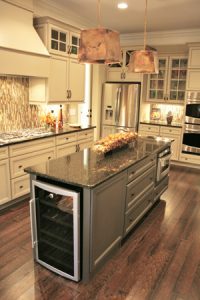 Ask A Designer™ Advice About Floors Q. Can you give me some advice about floors? All my neighbors have tile in their kitchens to go with the Tuscan and French style houses in our subdivision; one or two have hardwood. 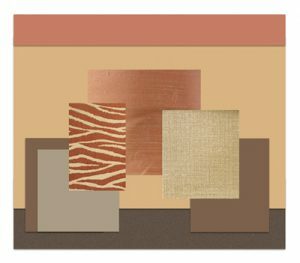 I have been looking at vinyl flooring, but all my neighbors say that vinyl is too cheap for our house. Do you think vinyl will cheapen the house? Is there a better choice?—O.D. finding “modern” furnishings that are not from the Jetsons Q. I’ve moved here from the west coast after traveling in Europe for a few years. My husband and I planned to design a modern house, but changed our minds before we broke ground because we became convinced that resale could be a problem since the market is still sluggish and European styles are selling best. 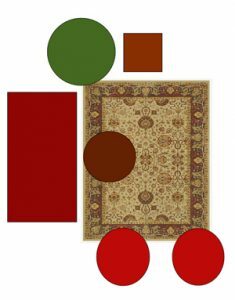 Ask A Designer ™ Selecting An Area Rug, Making the Most of A Bedroom Makeover Q. I would like to add a rug to my livingroom, which is already decorated, and would like help selecting something which coordinates well. The room has natural maple floors and a vaulted ceiling. The seating arrangement is on one side of the room with the fireplace and a large wall unit and tv on the other. Tired of Neutral Colors Q. This spring, I am having all the rooms in my home painted. 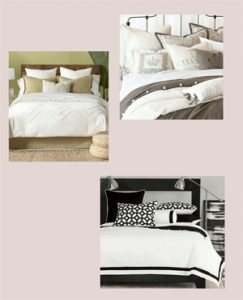 I’m tired of the neutral color that runs through my house. I love fabrics, so I have lots of patterns and colors. When I try to pick a color in the fabric to paint the walls, it seems too outrageous. 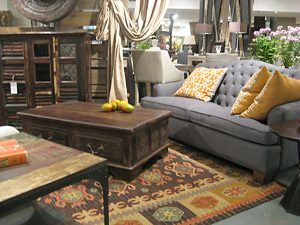 Drapery Solutions, Rug Trends Q. My master bedroom has several windows. 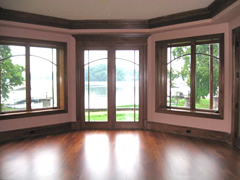 The focal point is the bay which provides a beautiful view of the lake. In addition, there are windows on either side of the bed and a french door to the right of the bay. What kind of window treatment looks good on all the windows?